One sure way to get me to review a food product is for it to be cookies (no nuts though). 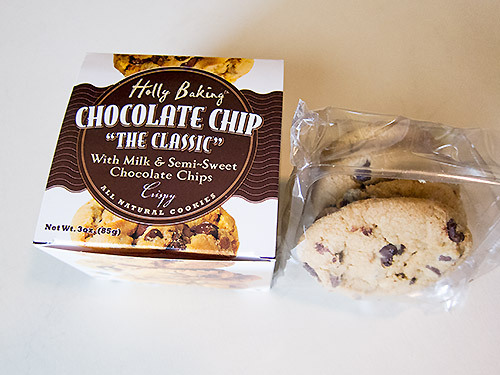 While sitting here this Saturday watching the golf Masters Tournament I’m enjoying chomping down on the Holly Baking Chocolate Chip “The Classic” with milk and semi-sweet chocolate chips. The cookies are crunchy, but quickly melt in your mouth. The flavor is a perfect balance between the different flavors of chips and the dough. Almost better than the taste is the fact that these cookies are all natural with no preservatives. This is great for me. Some preservatives give me migraine headaches.